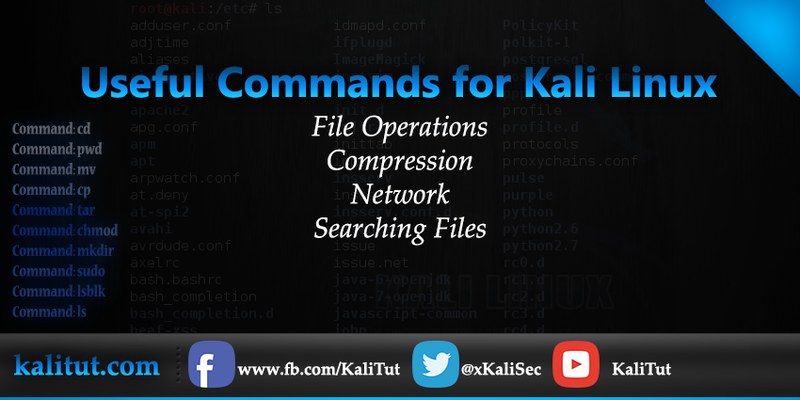 commands and commands almost everything in Linux need a command we are not in Windows to click we are in Linux to write! By default, colour is not used to distinguish types of files. That is equivalent to using --color=none. Using the --color option without the optional WHEN argument is equivalent to using --color=always. With --color=auto, color codes are output only if standard output is connected to a terminal (tty). Note: sudo allows user to borrow superuser privileged, while a similar command ‘su‘ allows user to actually log in as superuser. Sudo is safer than su. Note: one of the most important command useful for sysadmin and user both. On a multi-user environment or on a server, this command comes to rescue, setting wrong permission will either makes a file inaccessible or provide unauthorized access to someone. Note: A ‘tar.gz‘ means gzipped. ‘tar.bz2‘ is compressed with bzip which uses a better but slower compression method. Note: cp is one of the most commonly used command in shell scripting and it can be used with wildcard characters (Describe in the above block), for customised and desired file copying. Note: mv command can be used with wildcard characters. mv should be used with caution, as moving of system/unauthorised file may lead to security as well as breakdown of system. Note: This command won’t be much frequently used in scripting but it is an absolute life saver for newbie who gets lost in terminal in their early connection with nux. (Linux is most commonly referred as nux or nix). Note: cd comes to rescue when switching between directories from terminal. “Cd ~” will change the working directory to user’s home directory, and is very useful if a user finds himself lost in terminal. “Cd ..” will change the working directory to parent directory (of current working directory). => Verify the physical path i.e exclude . What's the remove or delete directory command? -f, --force Ignore nonexistant files, and never prompt before removing. -i Prompt before every removal. -I Prompt once before removing more than three files, or when removing recursively. Less intrusive than -i, while still giving protection against most mistakes. -r, -R, --recursive Remove directories and their contents recursively. [FAILED] failed to start LSB: virtualbox linux addition.